At Legacy Trails Dental, we’d rather help you avoid dental issues than simply fix them as they pop up. To do that, we provide a variety of effective preventive services that can safeguard your family’s smiles for years to come. With them, we’ll make sure you never have to worry about your teeth and won’t need more involved dental work in the future. To learn more about these treatments, simply read on below, and contact us today to schedule your next appointment. With just two of these appointments each year, we can keep your smile looking spotless and prevent numerous issues such as tooth decay, cavities, gum disease, and more. A standard preventive visit will start with one of our hygienists thoroughly cleaning your teeth using sophisticated tools, specifically targeting those areas your brush and floss aren’t designed to reach. 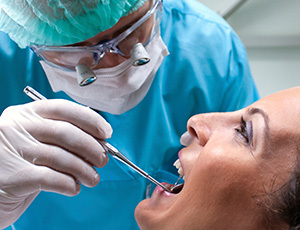 Then, your dentist will perform an oral exam to catch dental problems at their earliest stage. By coming in for these appointments regularly, we’ll make sure a small problem won’t have the chance to turn into a big one. 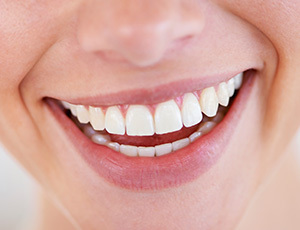 Periodontal therapy is a collection of treatments designed to treat patients with gum disease, which is the most common dental problem around the globe. 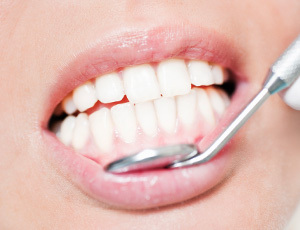 Should you show any signs of this nasty infection, we’ll be able to quickly spot it and provide treatment so we can restore your healthy smile. Dental sealants are how we can give vulnerable teeth an extra layer of protection against tooth decay and cavities. The rough chewing surfaces of the back teeth are particularly hard to brush, especially for younger patients, and this makes them much more likely to develop dental problems over time. With a dental sealant, we’ll apply a clear, thin layer of a plastic-based substance that will provide an invisible barrier against plaque and food particles. 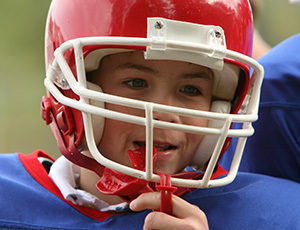 Do you or your child regularly participate in sports? Making sure your teeth are protected is just as important as your head, as 40% of all sports injuries are actually dental injuries! 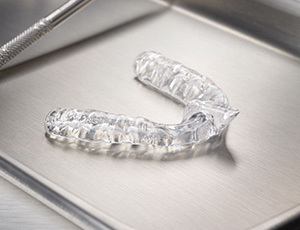 Rather than using a stiff and uncomfortable store bought appliance, we can give you a custom-made mouthguard that will be specially-fitted to your individual smile, providing both optimum protection and comfort at the same time. We can even personalize the color for you! 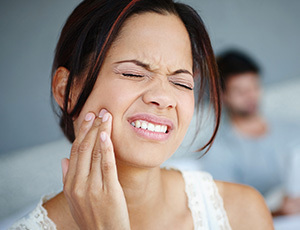 Bruxism is a condition where a person unconsciously clenches their jaw and grinds their teeth, and in many cases, it mostly happens while they are asleep. Over time, this can severely wear down the teeth and even strain the sensitive jaw joints. To manage this sneaky problem, we can provide what is called a nightguard, which is a custom-made oral appliance that will place a protective barrier between the teeth to prevent any damage from grinding during the night. The American Cancer Society recommends that patients of all ages should have at least one oral cancer screening per year as early detection is essential to successful treatment of the disease. Your dentist here at Legacy Trails Dental can perform one as part of your standard dental checkup, saving you from having to schedule a separate doctor’s appointment. This exam only takes a few minutes and could be the key to helping you avoid a potentially life-threatening condition. Fluoride is a natural mineral found in many foods that has been shown to increase the teeth’s resistance to both tooth decay and cavities. This is why it is often added to both toothpastes and public water sources. Fluoride is beneficial for smiles of all ages, but it is particularly important for younger patients while their teeth are still developing. To give their smile an extra boost, we can have them wear a mouth tray filled with a highly-concentrated fluoride gel, and after a few minutes, their smile will be well-protected until their next appointment. 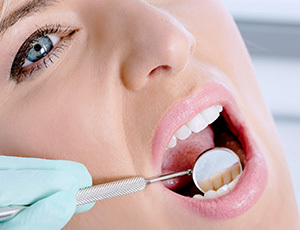 A dental emergency is any situation where a person requires immediate dental care, and they happen more often than you might think. Should you or a loved one sustain a dental injury or develop severe dental pain, you can rely on Legacy Trails Dental to be there and provide the immediate care you need. We do our best to always see emergency patients the same day they call in, so when you need dental care FAST, we’ll have you covered! Whether your child’s teeth are just starting to come in or they need help with a cavity, we’re ready and able to serve your little one. Our kid-friendly team has decades of experience meeting the dental needs of Plano’s most precious smiles, and we have the know-how to make sure they have a great time while we take care of their teeth.